Our best peppermint sugar scrub will fly off your holiday craft show tables. Enjoy jars of peppermint scented sugar scrubs with this project. This makes the perfect scoop-able "ice cream" style scrub! White granulated sugar is used as the exfoliant, and foaming bath whip and melt & pour soap used as the lathering soap. This is a great stocking stuffer around the holidays! You Save $13.65 by purchasing this kit rather than buying the items separately. COMMENTS: This was a great recipe. It sold quickly at holiday markets. COMMENTS: This was my first time making a sugar scrub and found this kit to be everything I needed. I was so please how easy it was and how awesome my sugar scrub came out. Great kit! I will be ordering more. COMMENTS: I made this for the first time to sell at our church Christmas Bazaar and have I'm still receiving rave reviews from customers who bought it for gifts. I kept a jar for myself and was amazed at how soft and smooth my skin felt after using it and how absolutely delicious and relaxing the peppermint scent is. I'll be buying more for my own use as gifts for family and friends! • My skin is so soft after using it! • Some smaller 4 oz. jars as well as 8 oz. COMMENTS: Very easy to create. The smell is absolutely intoxicating and wonderful. By far my favorite out of all of the sugar scrubs I have purchased from this site. Such a rich and creamy soft exfoliate. Definitely will purchase again. • None.. It performs perfectly! COMMENTS: This was my first time using a kit with this company and the results were phenomenal. I love the texture that was produce with the scrub, and leaves skin smooth with a nice scent. COMMENTS: The Peppermint FO smells wonderful for Christmas. The directions are easy to follow. I also used it in M&P soap and it smelled great. The only thing I would change is the black lid for the jar. Black didn't work well for a Christmas gift, in my opinion. I would prefer white or red. COMMENTS: Yummy is how I'd describe this scrub. The peppermint fragrance clears the sinuses, and the sugar scrubs the body. If left on for a few minutes, the peppermint actually "warms" the body, similar to what a sports cream does, but only much milder. This is a great product. COMMENTS: I made this to my self and gave away for family and friends. they love it especially my family in Hawaii because of the hot weather. Love it. I will make this again once its all out. COMMENTS: I made these and gave them as Christmas gifts last year. Everyone loved them and said how good it made their skin feel. I loved it along with the fragrance! Invigorating!! COMMENTS: All of what you need in one easy place. Love the kits, and this product is a winner. My customers love this scrub anyway, and the peppermint is a great scent for holiday time! The pink scrub looks great with the black capped containers too. Makes a pretty display for a craft table. Thank you for the convenient kits! COMMENTS: I ordered this Kit just because I love sugar scrubs and the look of this one looked so cute, I got it delivered and made it and oh dear...it is perfect and all my friends loved it the mint fragrance is just the best, I use it every time I want to treat my self to something real good and with great quality. Thank you WSP I will be your returning customer for ever. "Our Best Sugar Scrub Kit - Peppermint Can we use Peppermint Essential instead of fragrance?" Staff Answer Yes, you can use peppermint essential oil instead of fragrance. We would recommend using at 1% or 0.60 oz. "Can Goatmilk powder be added to this?" Staff Answer You can add goat milk powder to this scrub if you wish. You might want to mix in with the melted soap to blend in the powder. "Soap hardens before i added the bath whip and left little chunks of soap in the finished product. Is there anyway to prevent this in the future ?" Staff Answer You might try heating the soap a little hotter so this does not happen in the future. "Can I use regular edible sugar in place of the sugar in the kit? " Staff Answer Hi Julie Ann - Yes, you can use edible white granulated sugar instead of the white sugar in this kit. "I made this recipe according to the kit and it was not foaming very much. Did I do something wrong? Is there some way to make the product "foamier"?" Your final product shouldn't have much lather, it sounds like you made it right! When it is stored in a container it will settle the way a shower scrub typically does. 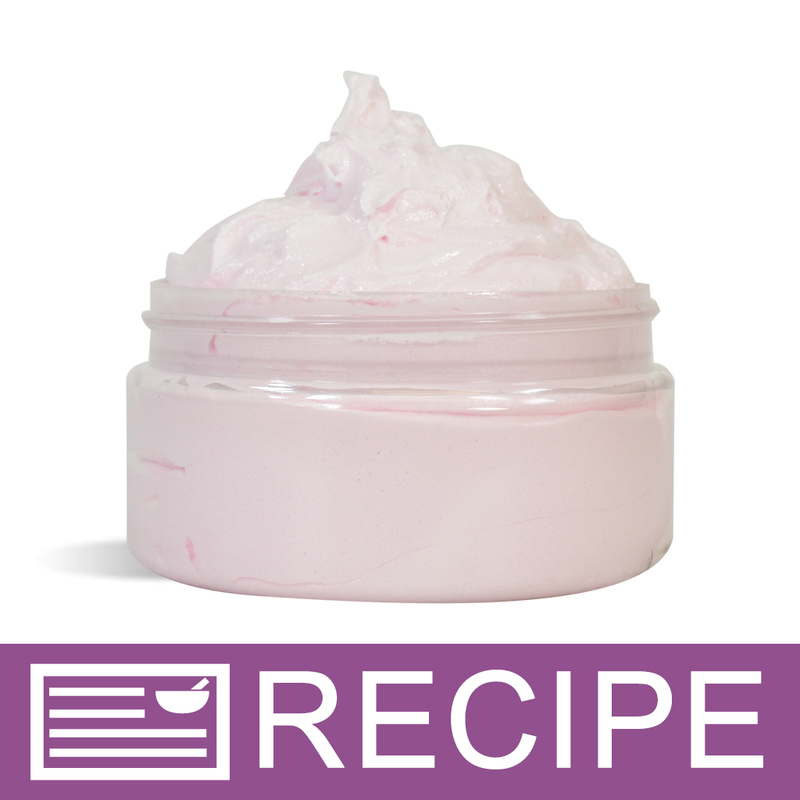 The foaming bath whip adds some fluff to your product but only during production, not to your final product. "I have most of the kit supplies at home, would optiphen plus be a reasonable preservative to use? Thank you"
Staff Answer Yes it is. "If this is used in the shower, it will get wet. Is there a preservative you can add to it to make it last longer?" Staff Answer I would recommend either the Germaben II or Germal Plus as a preservative for these scrubs. "Is this a body scrub, a facial scrub or both?" Staff Answer This scrub can be used for both the body or face. Since it contains sugar instead of salt, it is a bit milder. Care should be taken, though, if used on the face. This area is more tender and may be irritated by fragrance and/or coloring. "What is the shelf life of the finished product?" The shelf life, left unopened can be more than a year. However, I tell customers that it's best to use within 3 months. Sugars (especially finer grain) can begin to liquify. According to the label on the foaming bath whip, it should be used within 1 year.